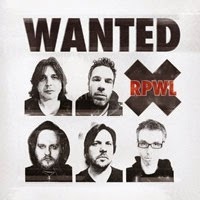 I picked up on the band RPWL when I caught a few tracks from the album, Beyond Man And Time, the album prior to this new release, Wanted, back in 2012. The music was an extension and an evolution from their birth as a Pink Floyd tribute band back in 1997, and I was hooked and then listened to much of their back catalogue. When Wanteddropped through the ether for review, I smiled with anticipation. RPWL, so named after the four original members, (Rissettio, Postl, Wallner and Lang) have released 10 albums since 2000, and Wanted becomes release No 11. Currently RPWL is a 5 piece band with Yogi Lang (vocals, keyboards), Kalle Wallner (guitar), Markus Jehle (keyboards), Mark Turiaux (drums) and Werner Taus (bass), and Yogi and Kalle are original band members. There is a concept within the album Wanted, that of, “the liberation of the spirit.” The band tells the story that was discovered in an analysis of Hippocrates work in a diary by Plato. The basis of the storyline is that a formula for a medicine that “frees the mind” has been produced, but Plato wonders if the human race is ready for the gift of “absolute freedom.” How exactly do you deal with this sort of idea within an album that runs for just over an hour? RPWL manage to successfully do so with consummate ease. Wanted is a 10 track album with a total playing time of around 64 minutes, with track 3, “A Short Cut Line,” the shortest at 3:03 minutes and the penultimate track, “The Attack,” the longest at 11:32 minutes. As with every album, the opening track is always a very important gateway to the rest of the album contents. “Revelation” (5:30) is a rousing instrumental with an electronic start and then into some fuzz guitar and mellotron. It is a track which ebbs and flows, returning to the original theme and ensuring that the interest of the listener is maintained at all times. The track then moves seamlessly into “Swords And Guns” (9:02) which starts with the sound of marching and then morphs into a heavy riffing section with chanted lyrics, before the sound continues with drums, bass and keyboards and a crystal clear vocal by Yogi Lang highlights the track. This is melodic progressive rock at its superb best and features a majestic keyboard section in the second half of the song. The track switches from the urgency of the chanted vocals to the more relaxed, but equally powerful melodic areas. The band is working as a finely tuned unit and again the excellent flow of the track demands attention. “A Short Cut Line” (3:03) makes use of natural sounds, such as church bells and marching, together with some electronics before moving gently into an interesting, if short, instrumental which makes use of some “film score” style background voices. The title track, “Wanted” (4:39) is a more up-tempo rocker but the melodic style remains strong throughout, and leads on to “Hide And Seek” (5:19), which is a superb acoustic based track, which evolves into a keyboard/guitar passage and which sees Yogi Lang carry the track with that clear powerful voice. “Disbelief” (6:24), “Perfect Day” (6:32) and “A Misguided Thought” (6:32) are varied pieces of melodic prog which flow effortlessly and carry the storyline that is unfolding through the album. The longest track, “The Attack” (11:32) is a slow-building slab of music, which RPWL are very skilled and it is a tour-de-force piece of music allowing Kalle Warner a chance to show his skills. The final track, “A New Dawn” (5:43) is a superb acoustic based track again which has those crystal clear vocals and gently builds to a stunning guitar passage, which makes it a majestic track to end the album on. The crux of the concept seems to point the finger at the “tyranny contained within religion,” and I leave it up to the individual listeners as to what they make of the lyrical content. This is a superb album produced by musicians who are highly skilled and possess the ability to gel together to produce the unique sound that is RWPL. It is true that there is a nod to the David Gilmour style of the latter day Pink Floyd, but they have moved well away from simply being imitators. Wantedgets both stickers, “One to Buy” and “The Experience will last Forever” and should certainly top many wish lists. This album is definitely one of those that could be described as “miss this at your peril” releases. It is only March, and Wanted is another album that will be in competition for best release of the year.